And although Central Park is a “big” 843 acres of a Scenic Landmark, there always seems to be new ways to fill it! Pre-dating the park was a reservoir which is being summoned from the ashes as justification for a wide path to the Belvedere Castle Folly. That reservoir gave way to the great lawn used by thousands in the warmer months. 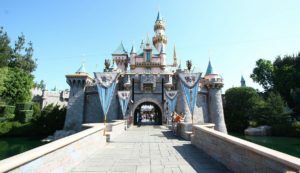 There is a proposal afoot to re-“imagineer” the reservoir retaining wall, and use that form to straighten the path to the castle and in doing so make the folly accessible (a laudable goal!). While LANDMARK WEST! supports the plan in intent, we have questioned the means and design. After testifying on Tuesday, we’ve been getting more feedback from you, our followers. Including another precedent sent in by a reader. Compare for yourselves, and you be the judge! 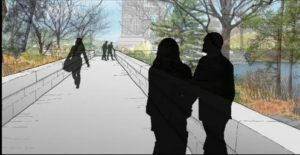 See the Central Park Conservancy’s full proposal HERE. Read LW! Testimony HERE.